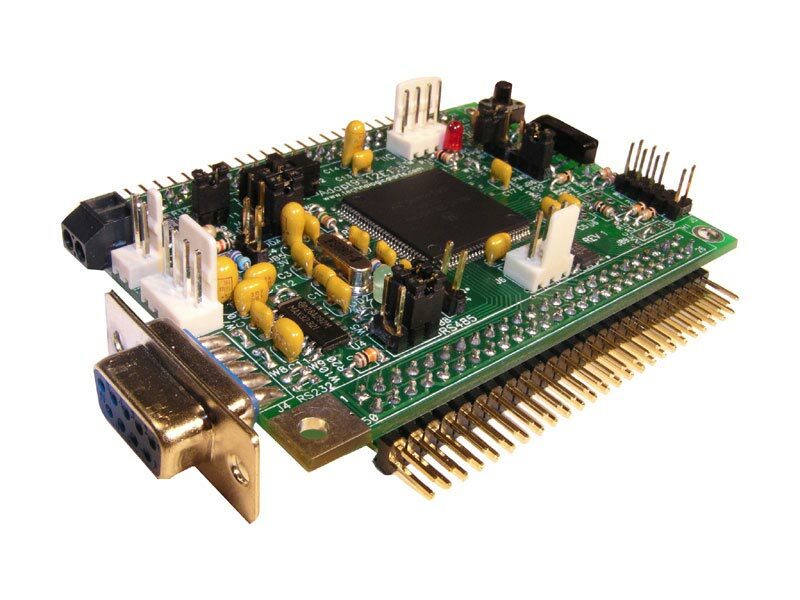 Adapt9S12E is a compact, modular implementation of Freescale's 9S12 E family-- utilizing the MC9S12E microcontroller chip. It is a member of the HCS12 family, and is backward-compatible with 68HC12 (and 68HC11). By shrinking feature size, more functionality can be put on a chip, reducing power consumption and cost, while increasing operating speed. Adapt9S12E is an ideal low-cost platform that brings these advantages within easy reach of engineers, students, and hobbyists. The flexible design of the entire Adapt series microcontroller products accommodates all aspects of training, evaluation, development, prototyping-- and even volume production. code in C, BASIC, Forth, assembler, etc. Adapt9S12 form-factor module based on 112-pin 9S12E128 MCU, populated with RS232, RS485, IrDA transceivers, and dual op amp for DAC channels. Adapt9S12 form-factor module based on 112-pin 9S12E128 MCU, minimally populated with RS232 transceiver. 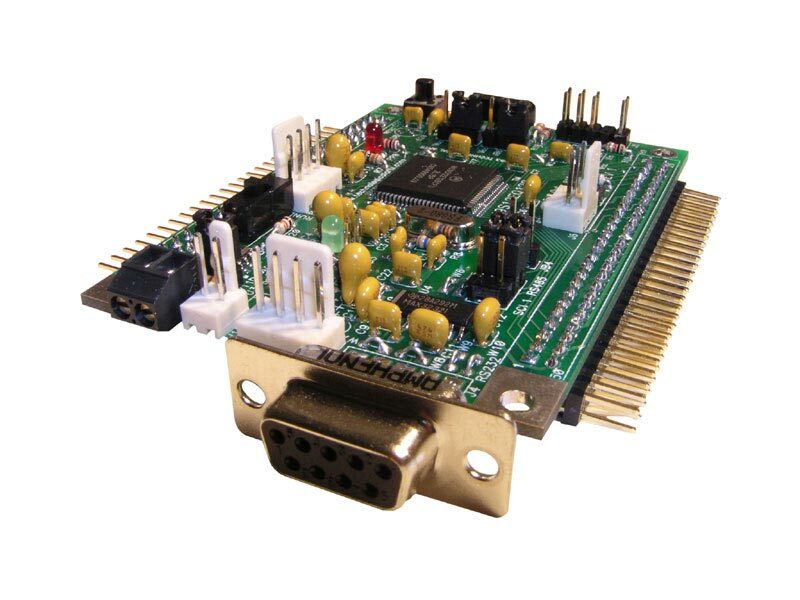 OEM Adapt module featuring 80-pin version of 9S12E128 with RS232 and RS485 transceivers. Special low price while quantities last! 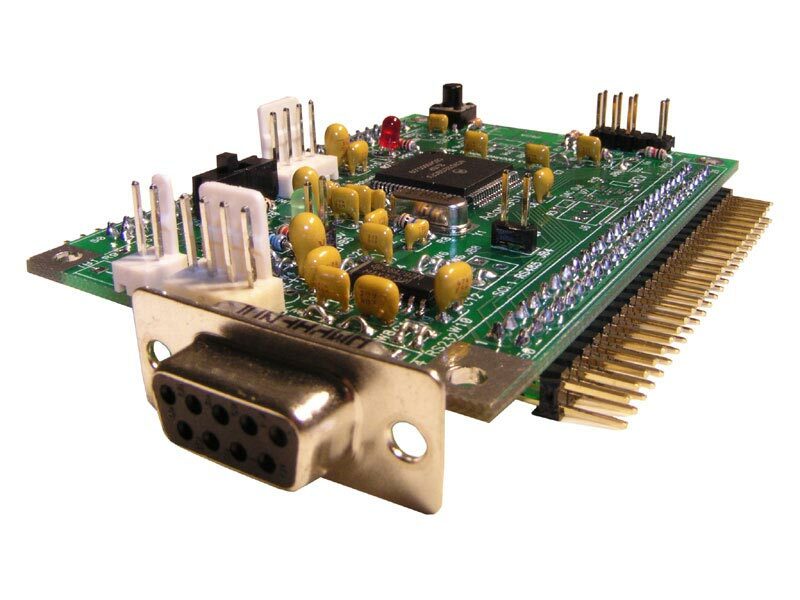 Low-cost OEM Adapt module populated with 80-pin 9S12E128 MCU and RS232 transceiver. Special low pricing while quantities last!